The RCMP is facing four Labour Code charges stemming from a 2014 shooting that left three officers dead and two injured. 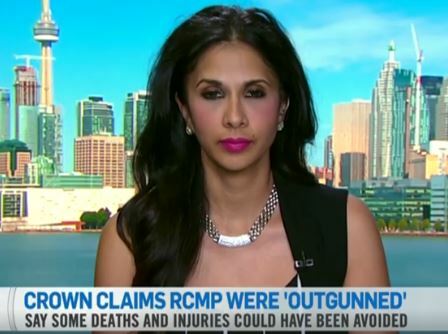 Levitt LLP’s very own partner Muneeza Sheikh, a labour lawyer joins CTV her legal analysis on the case. The RCMP is facing four Labour Code charges stemming from a 2014 shooting that left three officers dead and two injured. Muneeza Sheikh, a labour lawyer joins us for legal analysis on the case.